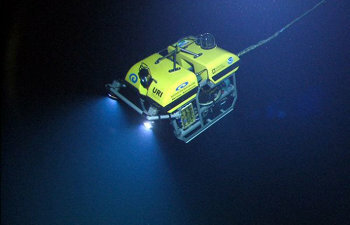 Ocean Explorer Expedition Education Modules (EEM) are designed to reach out in new ways to teachers, students, and the general public, and share the excitement of daily at-sea discoveries and the science behind NOAA’s major ocean exploration initiatives with the people around the world. The Exploring the Submerged New World 2009 and 2011 expeditions offer a unique opportunity to engage explorers of all ages as we continue our journeys to parts of our ocean planet that few have seen – ancient drowned shorelines in the eastern Gulf of Mexico. Why Are Scientists Exploring Ancient Drowned Shorelines in the Gulf of Mexico? Archived video between students and scientists, highlighting some of the careers that will be represented onboard ship during this expedition.